Welcome to #educampGIZZY 2017. When: Sunday 10th September - 10am to 1.30pm Where: Awapuni School, Gisborne Free Professional Learning at its Best! Join with us in this opportunity to connect with other educators from the Gisborne region, grow your network and share in journeys and expertise from other teachers. #educampGIZZY is all about bringing together educators from around our district and further afield, to share in our expertise. The idea is not to have someone standing up front, leading and lecturing, but to facilitate shared, collaborative discussions about our practise. We want to give people the opportunity to see what others are doing and share what they are doing... to get outside of our own little four walls, even if they're within an MLE, and to share best practise! We have some very talented educators who have a lot to offer - and truly, all of us do! So #educampGIZZY is about organising a time for us to all come together and do this. 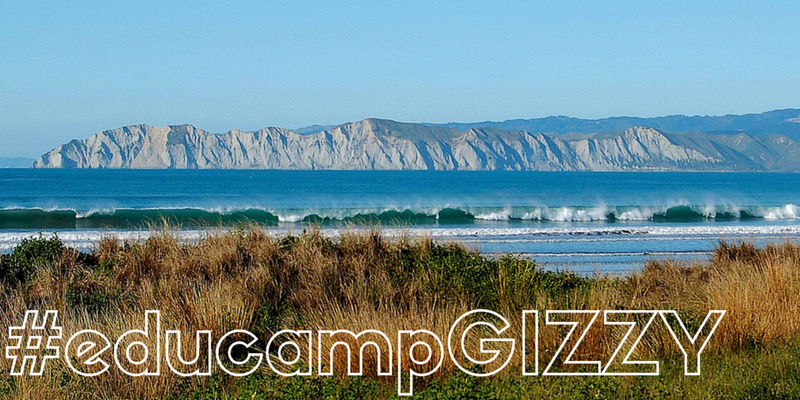 The idea of #educampGIZZY, as a part of #educampNZ is that it is an "unconference" meaning that it is not a formally organised event with keynotes and set breakouts for you to opt into before coming. It is free but we do ask that you bring a small koha to help cover costs of utilities as well as help us provide refreshments and prizes. #educampGIZZY asks that people sign up to come and that you register some things you would like to find out about. To do this, see the tab above Sign up for #educampGIZZY 2017. We'd like you to bring something along to share about your journey on some of the things you identify or your questions if you haven't started your journey yet....And, if you feel that you could either lead (e.g. start a discussion on a concept/topic by sharing what you've done and then let others share) or facilitate (e.g. start a conversation on a concept/topic without being expected to have all the answers), then we'd like you to also volunteer to do so. The nature of the #educampNZ format is that there are no formal workshops or breakouts... we rely on people to offer to lead or facilitate. If you feel you could lead or facilitate a discussion on a topic, then you should visit where you can add a slide about your concept/topic.The slides that are added to are shared at the start of #educampGIZZY and then voted on by attendees as to what they are really interested in going to, sharing in, discussing etc. We then tally these and provide a variety of breakout options throughout the programme (3 breakout sessions for the day). The breakout options are shared with you all and you opt into what you want to go to. You can attend breakouts or catch up with someone about an idea they've mentioned in an informal chat/lounge area. It's a free day of professional development, so there are no obligations to attend a breakout for each session.